Looking for a great place to take your school or group? Want to avoid weather related issues? LOOK no further! Book your school or group event with Pump It Up and enjoy our climate controlled arenas. We love hosting events for schools, day care centers as well as summer camp providers, churches, youth groups, sports team parties and recognition events & more! You can have all kinds of events at Pump It Up – field trips, team parties, fundraisers, corporate team building and more. Just about any group you can think of - We can handle groups of all sizes! The non-stop active fun includes jumping, sliding, climbing and bouncing on our GIANT inflatable play structures such as slides, bounce houses and obstacle courses. Our brightly decorated party rooms are perfect for celebrating with your children, enjoying refreshments, conducting award ceremonies and other activities. All Pump It Up events are 100% Private and we provide an excellent staff to help your group supervisors facilitate your event! We have packages for every price point. No group is too big or too small. There is no cost for chaperons. Field trips are either 90 minutes or 2 hours in duration. Pump It Up is Easy! Pump It Up does all the work for you. No set-up, no clean-up, just enjoy your event! Field Trip & Group event time slots are offered Monday - Friday, times vary based upon the needs of your organization. We can host 90 minute or 2 hour events, total event time is based on arena and party room usage (optional). We can develop a customized program to meet your group’s social and financial needs. We provide the inflatables, pizza (optional) & a fun atmosphere and your organization brings the fun loving guests! Call 813-655-1331 for complete information. Great idea for your camps to come and play! Different packages available. Camps are welcome to have less than 20 kids, however there will be a minimum charge of at least 20 kids. Your choice: just jumping, or stay for pizza after! Call us to book yours today! You and your child are invited to come and play on our giant, soft, fun-filled interactive inflatables during Pump It Up Fundraising Pop-In Playtime,designed for a minimum of 30 children. 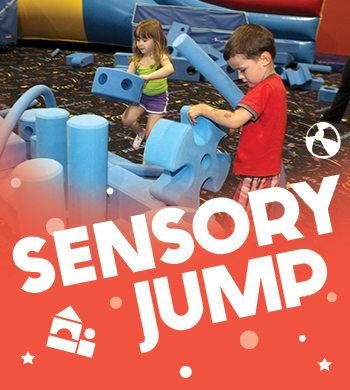 Promote social development and physical fitness while bouncing, sliding, climbing and jumping at Pump It Up! Pump It Up makes organizing your group event fun and easy. We can assist you in creating memorable customized events for groups of ALL sizes. If you need to raise MONEY...we can offer fundraising rebates to qualified organizations. Let us do the work so you can enjoy your event. Pump It Up’s indoor inflatable play areas offer families and groups a secure, private place to host events and enjoy fun, challenging physical activity. Our dedicated staff supervises the children and coordinates the activities. In addition, we have two private party rooms to enjoy after-jumping refreshments that can be provided by Pump It Up. Pump It Up can also provide fully integrated online sales...no more collecting money and maintaining attendee lists...Pump It Up can do it all for you with our eHosting service. All that you have to do is "get the word out" with flyers, posters and/or emails. 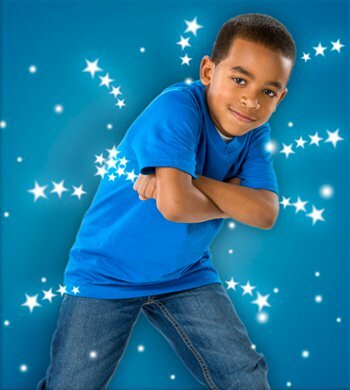 Call (813)655-1331 to book your FUNdraiser @ Pump It Up! 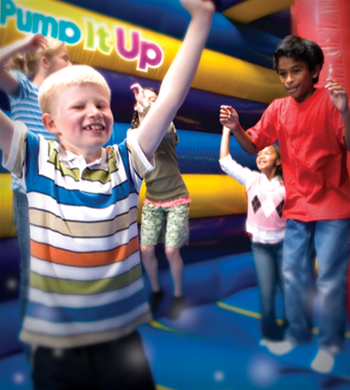 Pump It Up is the perfect place to hold your next school fund raiser. Choose one of our packages below, or we can work with you to customize a fundraising package for your school! We can help you plan a successful event! You group can make lots of money easily!